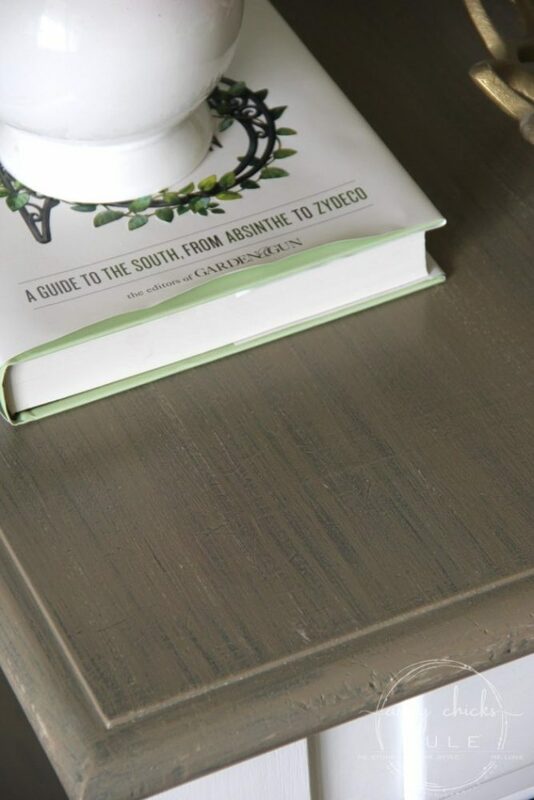 Love a faux weathered finish? 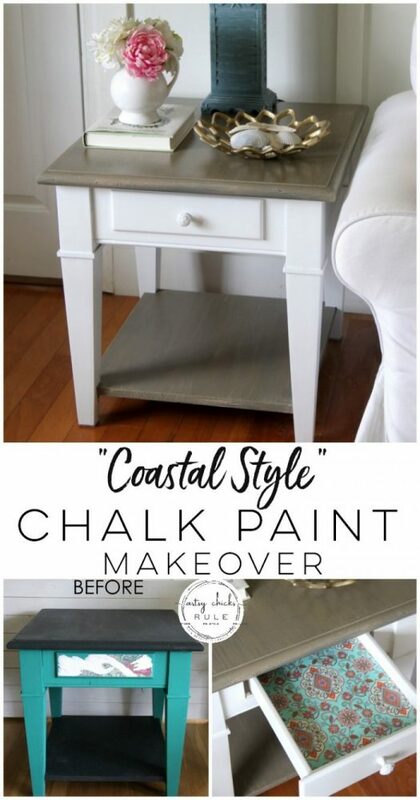 Follow along as I share this coastal style Chalk Paint makeover and the simple way I created it’s faux weathered finish. 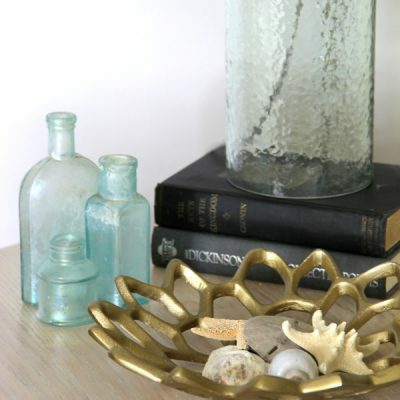 It’s Trash to Treasure Tuesday and my friends and I are sharing our fun new treasures with you today. 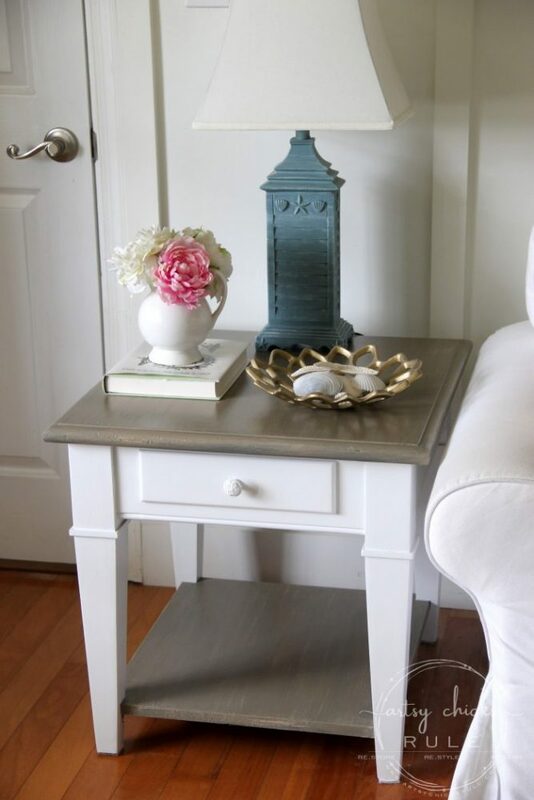 I’m sharing this old thing that I gave a brand new Chalk Paint makeover to…..
Yep, this end table was part of a set that we had in our family room downstairs. 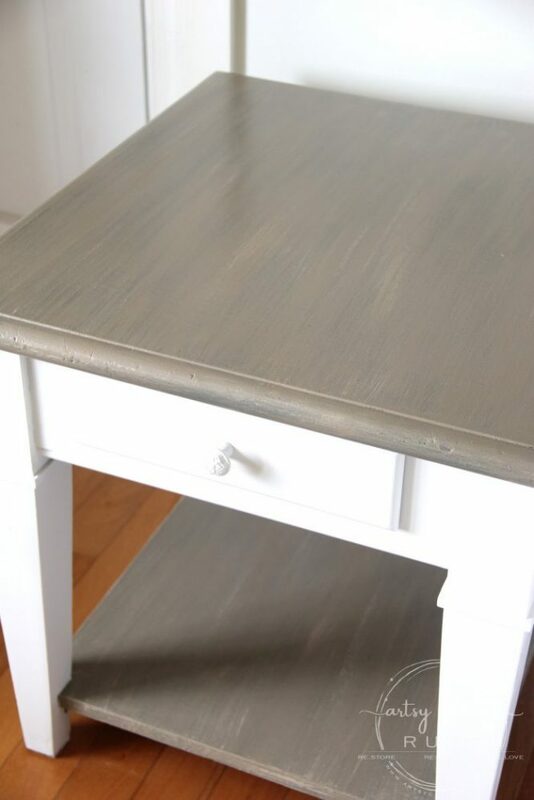 It was originally a cream base with an orange-y wood top and bottom. You can see the rest of this set, and how it looked, in this post. Anyway, I thought I wanted to make a fun, bright colored room for my office, oh, about 7-8 years ago. So it sat for YEARS….until now. I’ve been going through all of our rooms and all of our stash, trying to purge, makeover and get rid of what we don’t need or use. 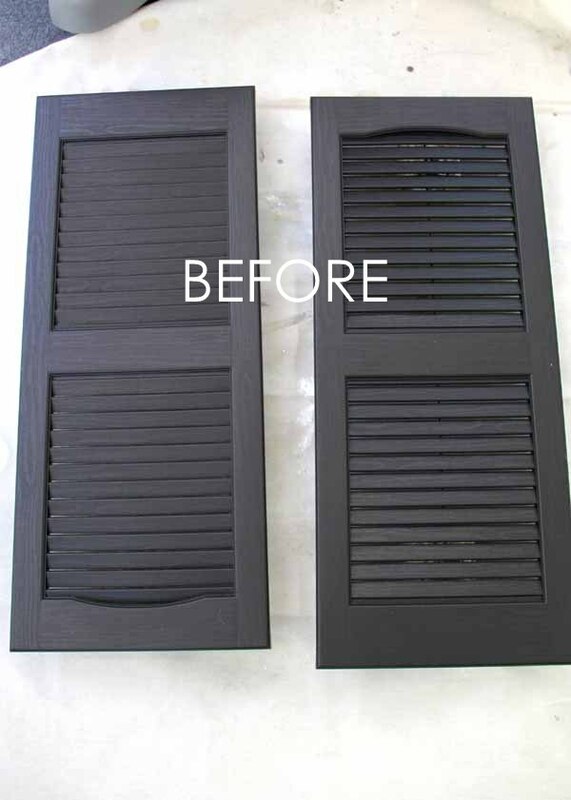 So…my plans for it was to sand off that black (that’s Graphite and Florence paint colors by Annie Sloan, by the way) and bring the wood back through. 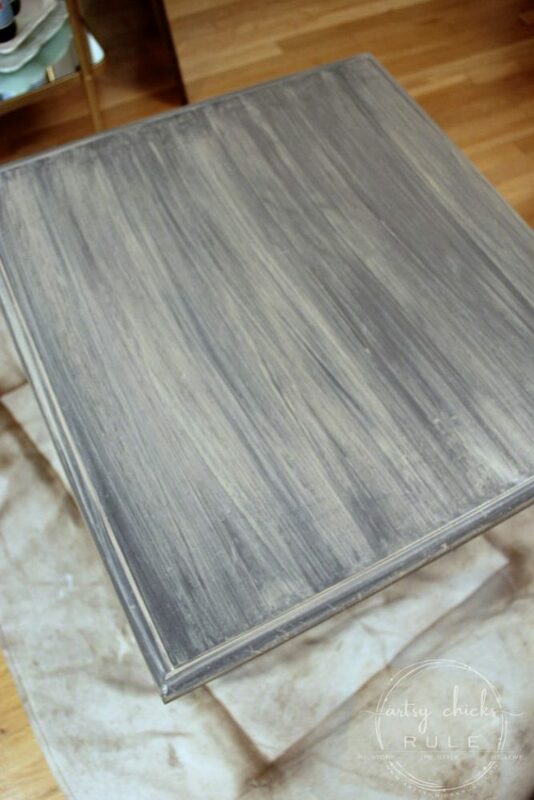 Both the top and bottom and then stain them in Java Gel and paint the rest white. Even though I’m not keeping it, I thought a coastal feel would be nice for this one. 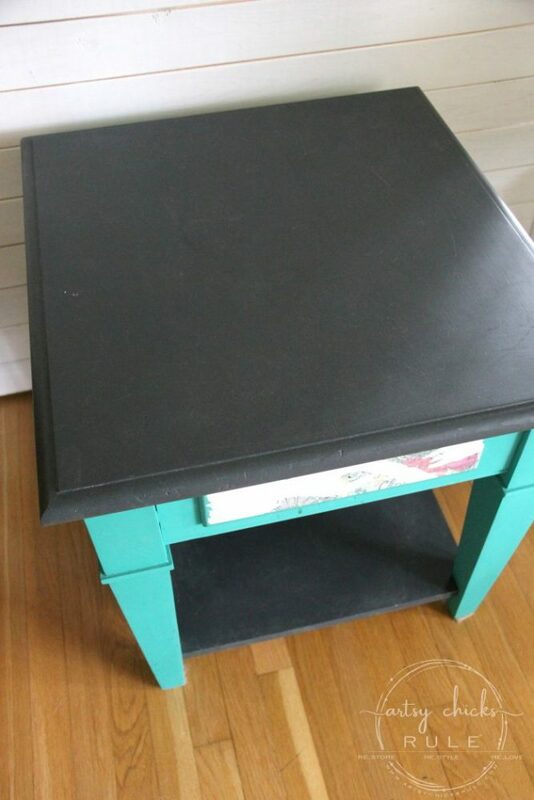 And the black happened to be the perfect base for creating a “faux” weathered finish. So I cleaned it up and got to work. 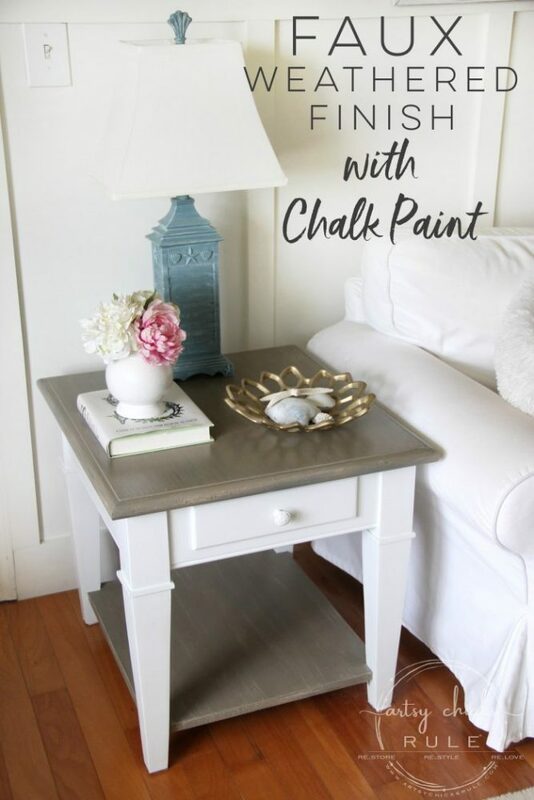 On this mostly all Chalk Paint makeover, I used Coco (after the black that’s already there, of course) as the main color..
You really can’t mess up this process, follow along and see what I mean. I took an old rag (old t-shirts, ripped into small sections are great) and dampened it pretty well. 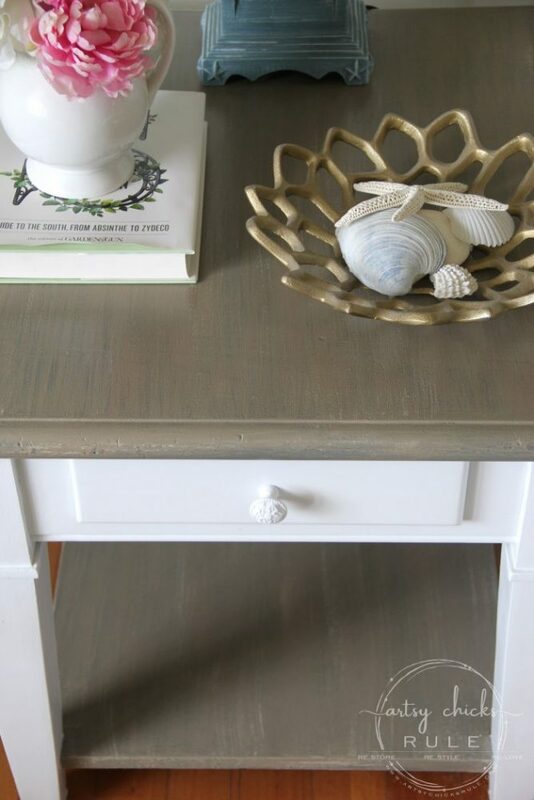 Then I dipped it into the can of Coco Chalk Paint and just wiped the paint on in long strokes like you see above. 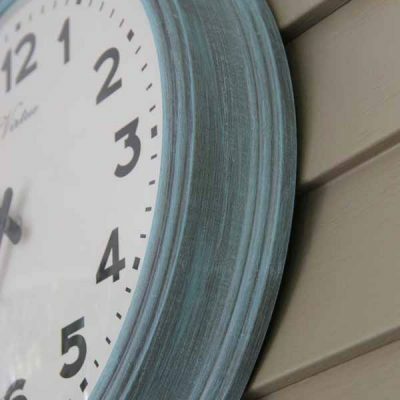 The paint should be thin and wet and not cover completely at all. I did this to the top and bottom. Once that first coat was dry I got out my chip brush and “dry brushed” the paint (same color) one end to the other across the entire top (and bottom) spaces to fill in somewhat. You want a bit of the black to show through so you aren’t trying to cover it completely. 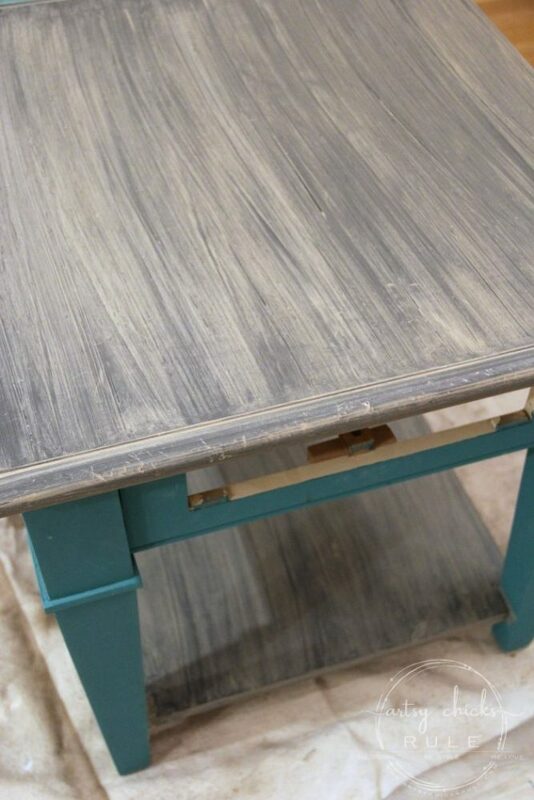 Be sure to let each coat dry well in between so you don’t smear it together. Which honestly is not a terrible thing with this technique except you don’t want to loose all the black underneath. I literally did the Coco dry brushing probably a total of 5-6 times until I had covered it enough. When it’s still wet, it looks as though you’ve ruined it and it’s way too much. Then it dries and you can see that you still need more. I then mixed up a bit of white and Coco and very, very lightly added some of it to the table. I didn’t want it too white/light so really only added a small amount of this color. I applied it with a dry chip brush also. I did end up being a little too heavy handed and more white got on there than I intended so I had to let that dry and then go back over it with more Coco, which worked well to cover it up. Here it is pretty much done (except for the white painted base). 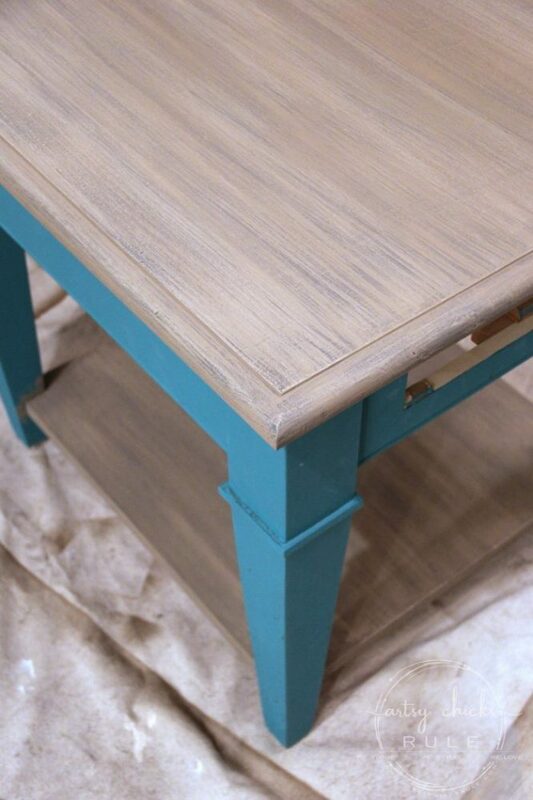 I sealed this part of the Chalk Paint makeover with 2 coats of high performance top coat, sanding lightly in between coats for a smooth finish. The base got 2+ coats of white “chalky” paint and a finish coat of the same sealer. I am thrilled with out it turned out! 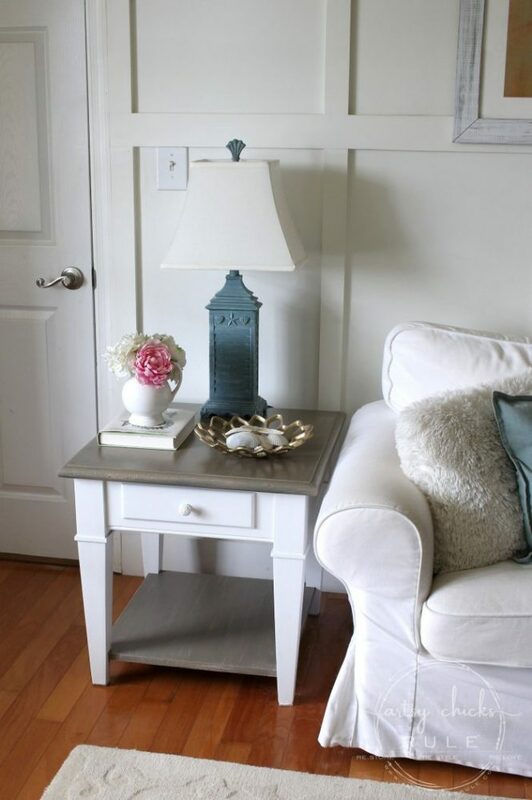 I LOVE how this color looks in here and would love to create this same look on tables that would fit here. 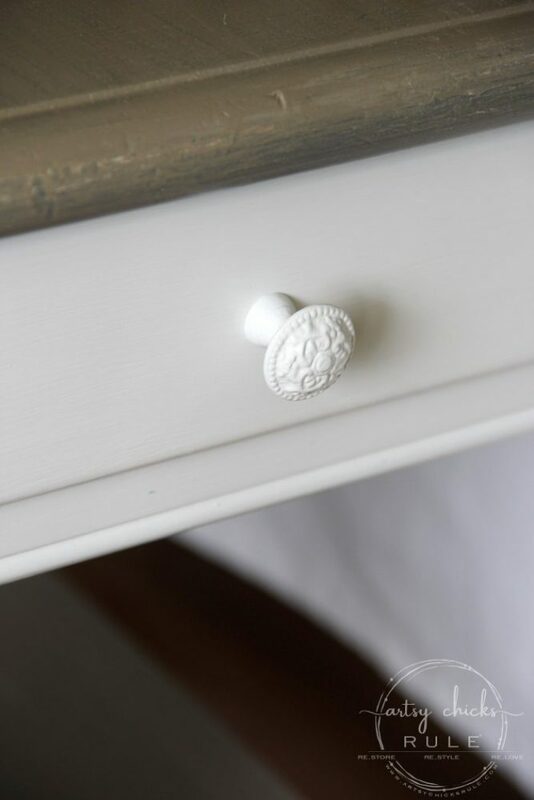 The knob that came on it was wood (plain) so I replaced it with this pretty scrolled, metal one painted in the same white. I used this tissue paper that I bought recently. You can’t really see it in the photo, but it has gold outlines around the designs and it just shines! So pretty. 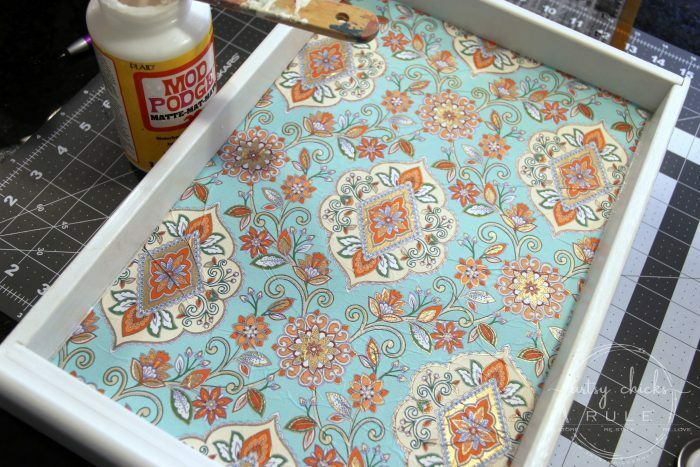 I used Mod Podge underneath to attach it and this cutter mat set you see below to cut it. The tissue paper does wrinkle up a bit but that’s just the nature of it because it’s so thin. I don’t really mind it as I think it goes along with the look a bit. See how orange my floors are? When I was talking about installing things in varying stages, this is one of them. We picked out this floor to “match” the existing hardwood on the other side of the house. That was before we decided to refinish it and it was a bit orange-y from age. 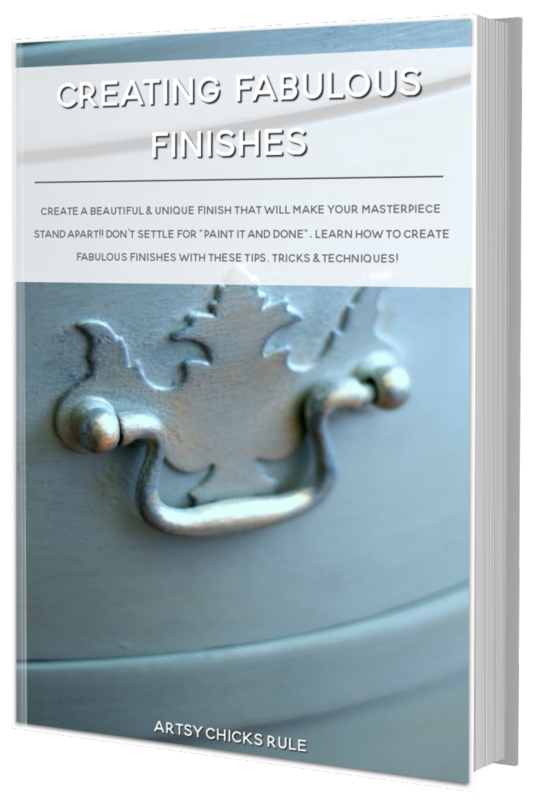 So once we finally did decide to refinish, this no longer matched!! lol BUT it’s beginning to match again since the refinished floor is again turning a bit orange-y with continued age. 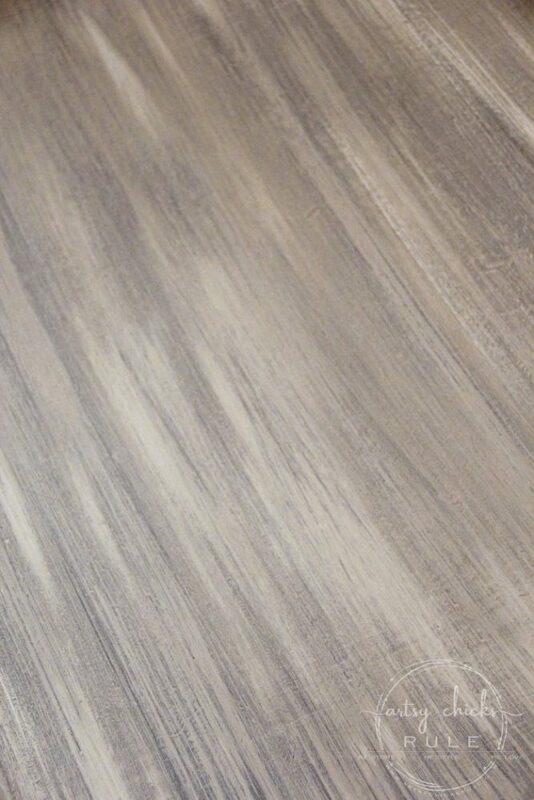 I don’t love the color of these (or having more than 3 types of flooring in connected, open rooms)…. so all matching new floors of some sort are still in the plans. 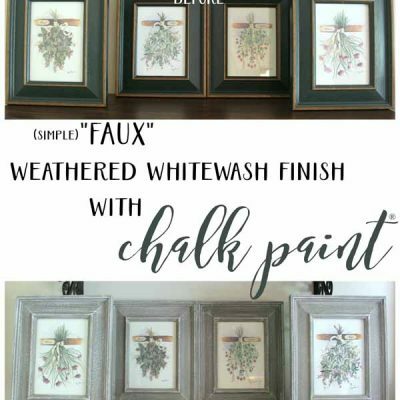 Okay, back to Chalk Paint makeover…. I might be on the lookout now for 2 just like it, only more narrow so they’ll fit on either side. 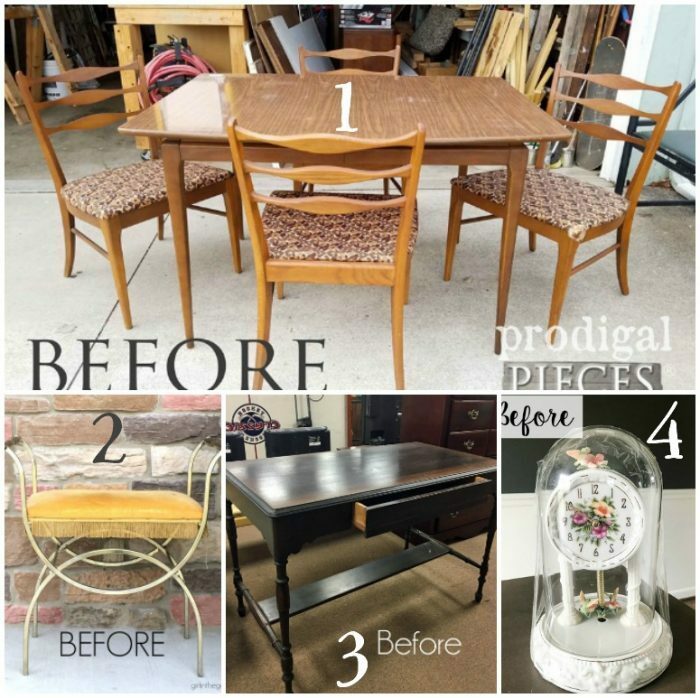 Want to see even more trash to treasure makeovers? 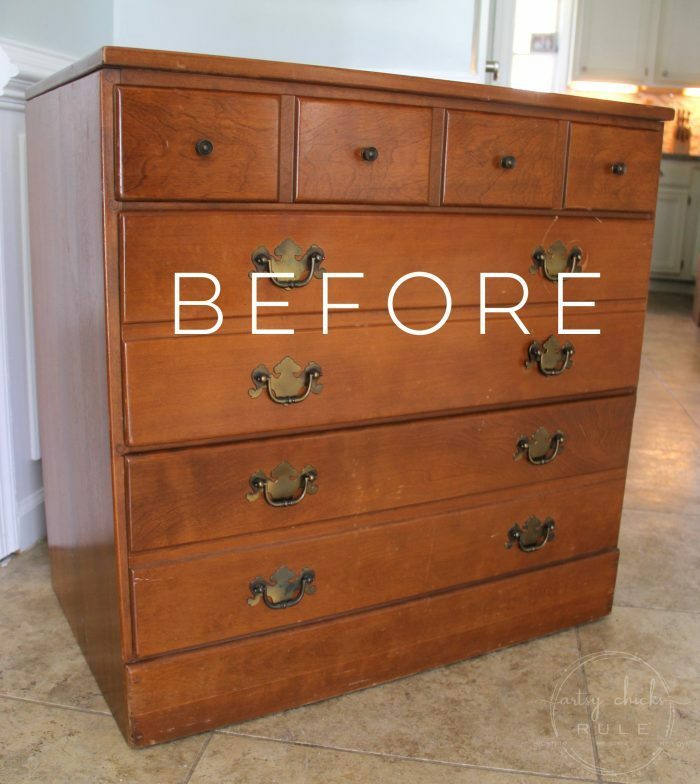 To see even more “trash to treasure” makeovers, click here. UPDATE! You can see it now, here! Nancy, the table looks magnificent! 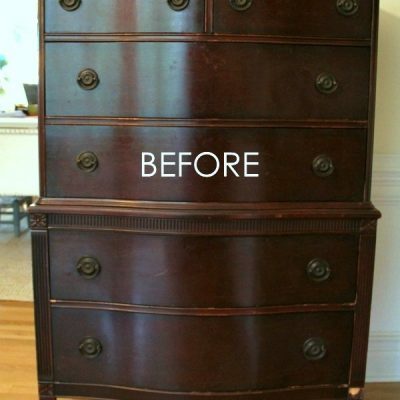 Truly an inspired makeover. 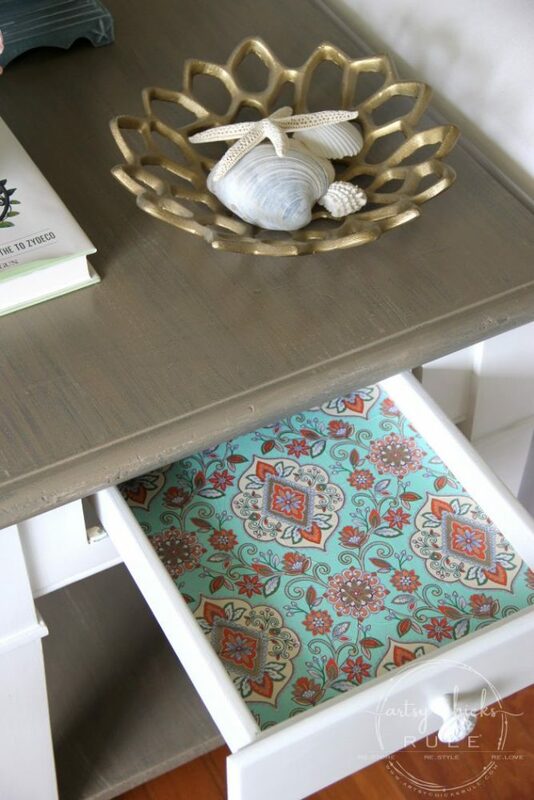 Love the top and the lined drawer. Go you!! 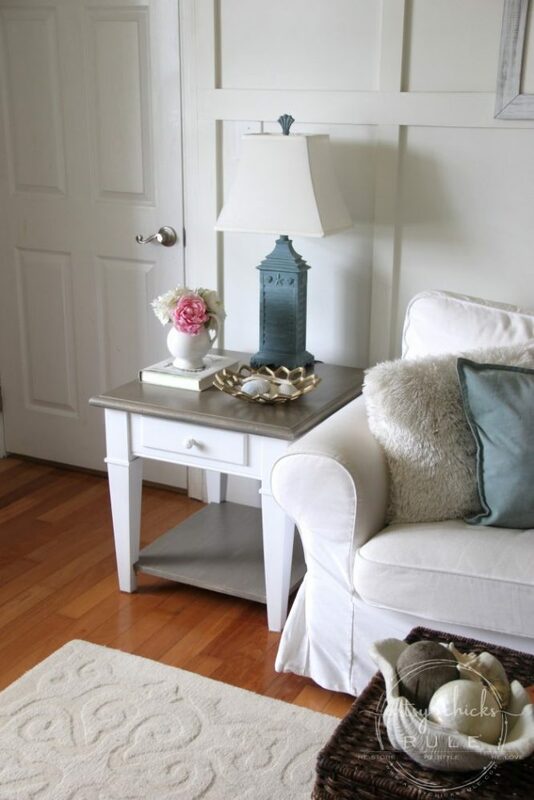 Girl, you took an awfully funky table and made it shine. Bravo!! Love the makeover. If the table is rectangular, can you turn the table sideways? Would it fit better that way? 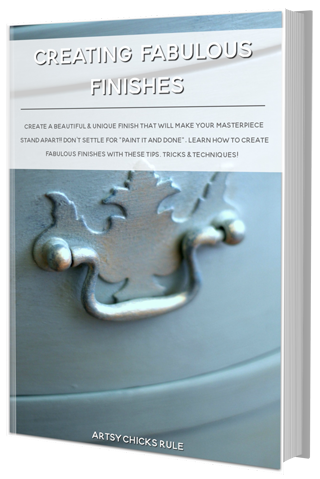 Beautiful finish, Nancy! I was wondering where the tile-top tables went . . . too bad this one doesn’t fit (and there’s only one). I bet you find a pair so you can recreate the look. Thanks for the idea, I definitely want to try this technique. 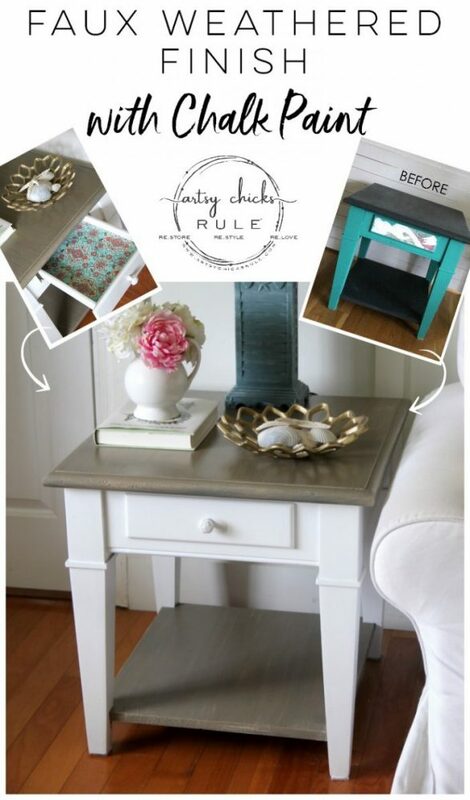 Just came over from Christy’s blog and I love the transformation of your table! Great job! 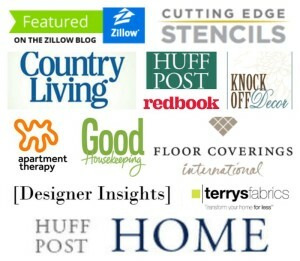 Wow, this really doesn’t seem like the same table at all! 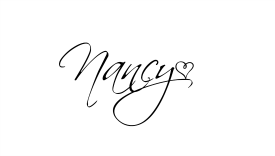 Beautiful job, Nancy! “I did that to it”… I giggled quite a bit at that. 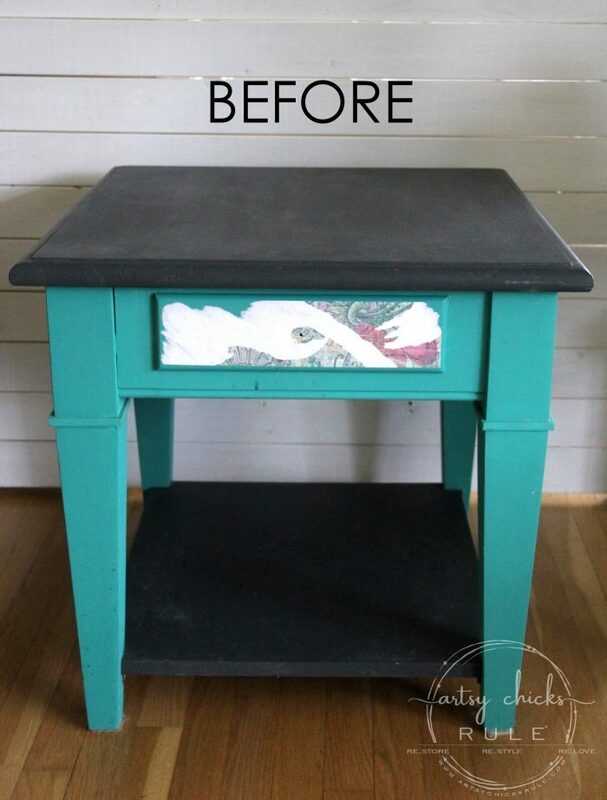 ;-) Love the technique and colors you used on the top and shelf. Looks quite coastal! Also, when I saw Christy use the cutting set, I went an purchased it immediately, as well! LOOOOOVE! Hehe. 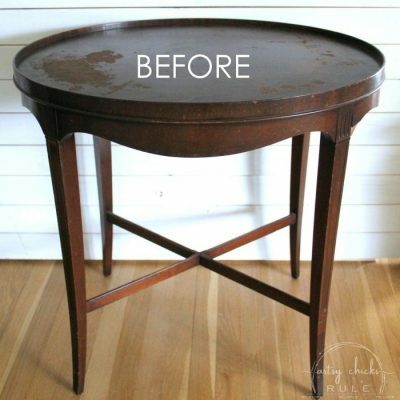 What a difference you made to this table! 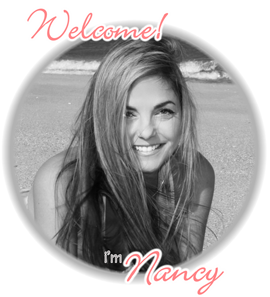 Love the new look, Nancy. Thanks Marie! Wish I could keep it!! 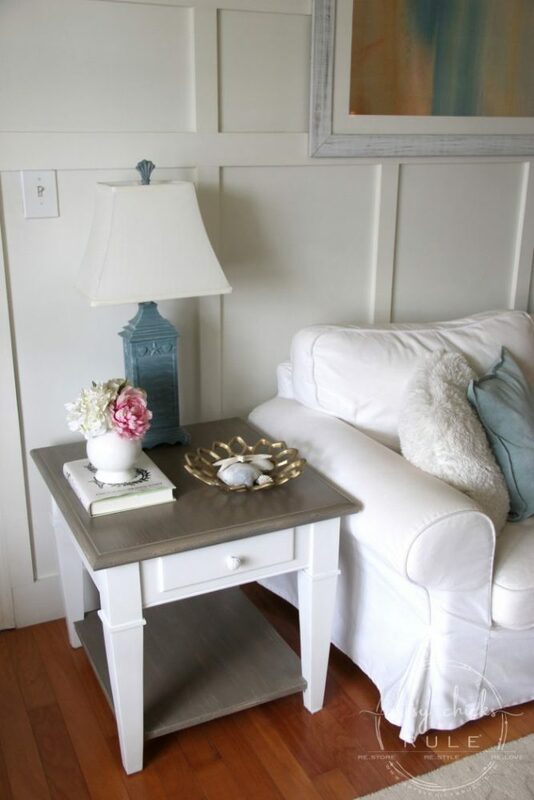 I love how you did that table it looks awesome now. I am a faithful follower of your partner in crime Christy. Love the videos, you two are a hoot. Also follow Larissa. Just looked on your back yard makeover. 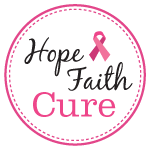 It turned out so amazing and I know I speak for a lot of people thank you for sharing as it gives us confidence that we could do it too. Been spending time going through your stuff on back issues and hoarding makeovers as I do stuff to redo lol. Will for sure be following along with you too! 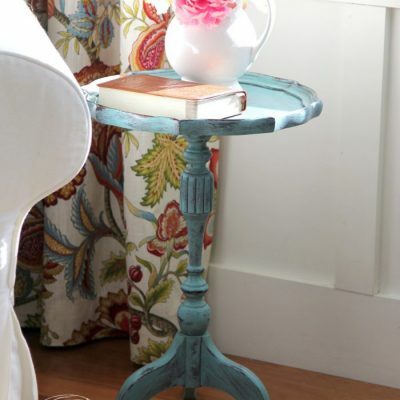 The end table looks great! If the piece is not already painted and stained black or a dark color, should a dark color be applied first before the Coco dry brushing? Suggestions? Table looks great!! 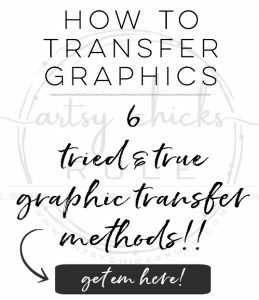 This is exactly the color & method I was looking for. 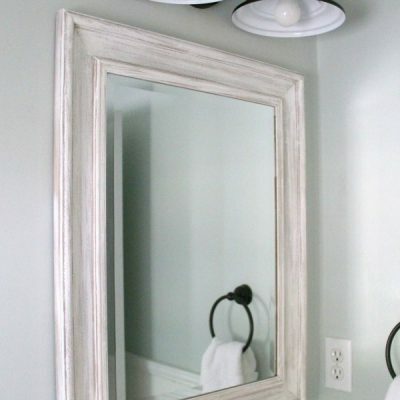 Can you tell me, what brand the coco paint is?